If you are thinking of a new career as a driving instructor, choose a trainer/company who is on the ORDIT REGISTER. This means these establishments have reached standards set out by the DVSA to ensure YOU WILL BE PROVIDED with a professionally run course. Ashley Neal Instructor Training is on the ORDIT REGISTER, and all training will be provided by a GRADE A instructor. Training is provided by Ashley Neal independently from Ashley Neal Driving Instruction Ltd.
To be a fully qualified Driving Instructor, you will need to pass three examinations. The training program will fully prepare you for all three modules of the ADI qualification. You have taken your first step towards your new career as a Driving Instructor. This information booklet explains all that you will need to know about the qualification process to become an ADI (Approved Driving Instructor). The process to get this qualification usually takes 6-12 months and involves a lot of hard work and commitment, but the benefits of being self-employed with an earning potential of in excess of £700/per week surely makes it worthwhile. We always encourage enquirers to contact other training establishments and compare what they have to offer; to decide which one best suits your needs. We are confident that after doing this you will realise that our courses offer the best value for money and flexibility as well as the personal one-to-one training no one else can match. The course can fit in around any current job or commitments, with training available at weekends and in the evenings. Training is available throughout the Merseyside area but we encourage enquiries from further afield as we are based within easy reach of Preston, Manchester, Liverpool, Southport, St Helens, Warrington, Runcorn and North Wales. Please read on to find out exactly what the course entails. You are only allowed three attempts at each of the practical tests. If you do not pass in the three attempts you must wait until the end of your two year period before you can requalify, starting with the theory exam. You can take The Part 1 test at any theory test centre in Britain. The principals of general road safety and the application of road safety in particular circumstances. The techniques of driving a car correctly, courteously and safely including control of the vehicle, road procedure, recognising hazards and taking proper action, dealing properly with pedestrians and other road users, the use of safety equipment. 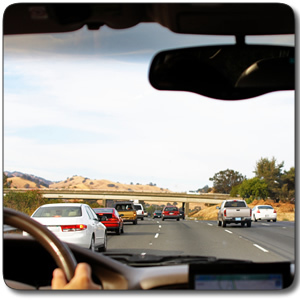 The theory and practice of learning, teaching and assessment of driving. The tuition required to instruct a pupil in driving a car, including the items set out above, the correction of pupils’ errors, the manner of the instructor, the relationship between the instructor and pupil and simple vehicle adaptations for disabled drivers. “The Official Driving Test” booklet. The interpretation of the reasons for failure given in form DL25A the “Statement of Failure” to pass the driving test. A knowledge of the mechanism and design of a car. The “Driving – the Essential Skills” official DVSA book. To pass the examination for Part 1 you will need to achieve an 85% mark. However, you are required to achieve a minimum mark of 80% in each of the four areas the test is split into. Candidates are also expected to achieve at minimum 57 out of 75 in the hazard perception test. You must pass both parts of the exam together to be able to pass Part 1 and the results of the test will be given to you at the end of the examination. You can attempt this part of the exam as many times as you need to achieve a pass. When you have passed Part 1 you can start Part 2 (“the practical test of your driving ability”) of your qualification immediately. The test will take around an hour. The new-style number plates start with 2 letters followed by 2 numbers, such as AB51 ABC. If you don’t pass the eyesight test, you will fail the whole of the part 2 exam as it will count as one of the 3 attempts you’re allowed at the ADI part 2 test. For the ‘show me, tell me’ sections you will be asked 5 vehicle safety questions, these test how well you know how to carry out basic safety tasks. For each incorrect answer, you will get a driving fault and if you answer all of the 5 questions incorrectly or if you lose control of the car whilst answering a ‘show me’ question you will get a serious fault and fail the exam. You will be required to drive in varying road and traffic conditions, including motorways or dual carriageways where possible. The examiner will determine which you have to do. If the examiner chooses for you to follow sat nav directions the examiner will provide the sat nav and set it up for you. You will not be allowed to follow directions from your own sat nav during the test. Your test result won’t be affected if you take a wrong turning unless you make a fault while doing it. The examiner will help you get back on the route if you do. If at one point during the exam you can’t see a traffic sign (for example, because it’s covered by trees), the examiner will give you directions until you can see the next one. If you make a mistake during the exam you can carry on as if it is not a serious mistake it will not affect your test result. If your examiner thinks your driving is a danger to other road users, they will only stop your exam. For part 2 you are only allowed to have 3 attempts; if you fail all 3 of the attempts you will have to wait 2 years from your part 1 passing date until you will be able to re-qualify from the start. When you have passed part 2 you can immediately start the last part of the qualification, part 3 “the practical test of your ability to instruct”. You can apply for your first ADI badge if you pass the ADI part 3 test. You must apply within 12 months of passing the test, or you’ll have to pass all 3 qualifying tests again. You have to retake and pass the ADI part 1 test and ADI part 2 test again if you fail the ADI part 3 test at your third attempt. You must wait 2 years from when you originally passed the ADI part 1 test before you can take it again. You can appeal if you think your examiner didn’t follow the regulations when they carried out your test. Your test result can’t be changed, but you might get a free retest if your appeal is successful. You have to appeal to a magistrate’s court or sheriff’s court. 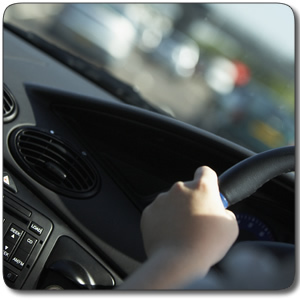 If you have passed the driving ability test you can apply for a “trainee licence”. If granted, this will allow you to instruct for payment although you are not registered as an Approved Driving Instructor. Many people pass the Part 3 exam without needing a trainee licence; however, the experience gained from the licence is often invaluable in gaining the necessary experience to pass the exam and is the most popular choice. A licence is only valid for 6 months and apart from very exceptional circumstances, you will only be granted one licence. 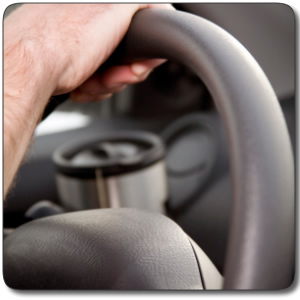 One of the conditions of the trainee licence is that you receive at least 40 hours of practical training from an ADI. You must receive some training in every one of the subjects listed. The training provided may be in class, in car or most likely a mixture of the both. Again this training is provided with the courses we offer. If the trainee licence is the preferred option, we can usually organise this with a local driving school, if not with ourselves (ASHLEY NEAL Driving Instruction). However, doing this course does not tie you into working for any driving school, including our own, which is unlike many other courses available. Your name will be entered in the register once you have qualified and paid the fee. You will then be sent an official Certificate of Registration which will have your name, photograph and the official badge. Whilst you are giving instruction you must display your certificate in the bottom left-hand corner of the windscreen of your instruction vehicle. Registration normally lasts for a period of 4 years. Before it expires you can apply for it to be extended for a further 4. Further training towards your Standards Check is available through ourselves, to ensure you achieve your highest grade possible. FULL COURSE 2250.00 Including Part 1 Home Study Pack, All Part 1 in car/classroom sessions as required, All Part 2 in car sessions as required (inc further training if Part 2 is failed), 40 hours training towards Part 3 exam, 5 hours further training after each attempt at Part 3 if failed, Lesson Plans Car hire for exams (if required). The driving school reserves the right to charge for any training not cancelled at least 48 hours before the date booked. Payment for training must be paid for in advance. Prepayments are refundable at the discretion of the management, on the production of an official receipt (usually for medical conditions, and not including any course materials). Any complaints will be treated very seriously and in total confidence. We pride ourselves on the services we provide to be professional and the information we give in any circumstances not to be misleading. If you have any complaint about how any of our staff have acted please contact us by post and we will endeavour to rectify the situation as soon as possible.